Special Offer : Applicable in Group Booking. Prajapati Daksha, the son of Brahma, the creator of this world mediated to get Aadi Shakti as one of his daughters. She appeared and fulfilled his wish on one condition that if she was ever hurt, she would leave the earthly home instantly. After her birth she was destined to marry Shiva, one of the three principal deities behind the creation of this entire world. Daksha used to dislike Shiva for his simple lifestyle and his residence on cremation ground. But despite all his objections Sati got married to Shiva. Later, Daksha organized a great Yagna inviting all dignitaries including Brahma and Vishnu except Shiva just to insult him. Sati came to know about this celebration and left for her paternal home without listening to Shiva’s advice. On reaching there she faced extreme forms of insult and after hearing all the derogatory words used against Shiva she sacrificed her life then and there. When the Mahadeva came to know about Sati’s demise, he got a severe shock and started a destructive dance lifting her dead body on his shoulder. The entire world started trembling with the steps of his feet. Seeing this Vishnu chopped the corpse into 51 pieces with all these parts falling in different parts of Asia. All these 51 places are later transformed into popular places of worship and transformed into awe-inspiring temples under the royal patronage of different times. Out of these 51 Shaktipeeth 13 Shaktipeeths are in West Bengal,India. Among those 12 Shaktipeeths are in South Bengal. All These spot can be visited in 4 Night 5 Days. 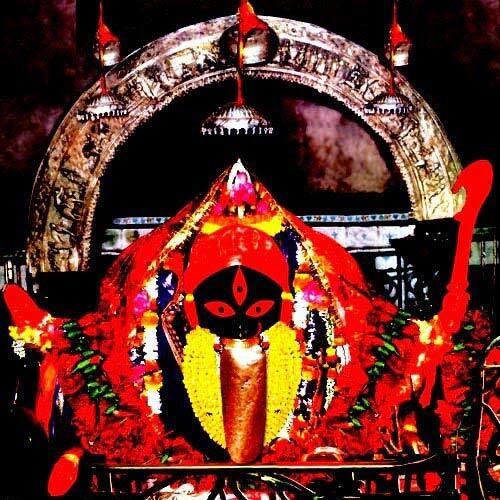 Our exclusive packages & itinerary for Visit The Shaktipeeth In West Bengal is a result of our years long research work with the locations, directions - which helps Tourists to explore these extra ordinary ''Shakti Peeth In West Bengal''.Applicable in Group Booking.Airfare, Train Fare, any other Fare, Insurance Premium etc. Entry Fee to Any visiting places. Payment for service provided on personal basis. Expenses incurred due to mishap, landslide, strikes, political unrest etc. In such cases extra will be charged as per actual. All inter transfers & sightseeing as per Itinerary by Suitable Vehicle only. All parking and permit charges. Airfare, Train Fare, any other Fare, Insurance Premium etc. Personal expenses on items such as Laundry, Soft & Hard Drinks, Bottle Water, Incidentals, Porterage, and Bell-Boy charges, Tips etc. 1. To confirm this booking you should transfer INR. 2000/- within 01 week. First transaction will be non-refundable. Before 20 days of your journey if you cancel this tour, 25% of your second transaction will be refunded. Before 10 days of your journey if you cancel this tour, 15% of your second transaction will be refunded. Before 07 days of your journey if you cancel this tour, 5% of your second transaction will be refunded.